In the bowl of a stand mixer, cream the butter and sugar together until fluffy, about 3 minutes. Add the eggs 1 at a time, beating well. With the mixer off, add the flour mixture to the bowl and slowly stir to combine. Mix until flour is just incorporated. Remove dough from bowl and pat into a 1-inch-thick disc. Wrap in plastic wrap and refrigerate for at least 2 hours. On a lightly floured surface, roll dough ⅛ inch thick. Cut out into shapes and place on parchment-lined baking sheet. Chill in freezer for 15 minutes. Bake for 7 to 10 minutes, until the cookies are evenly golden. Remove cookies from baking sheet and place on a rack to cool. Frost cookies after they have cooled completely. In the bowl of a stand mixer, beat egg whites, cream of tartar, and vanilla at high speed, until foamy. Slowly add sugar until the frosting is stiff enough to form firm peaks. 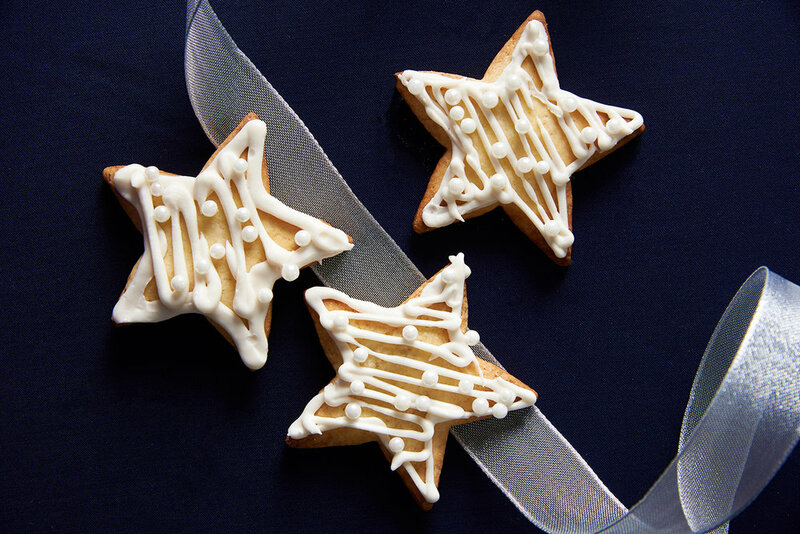 Pipe or spread frosting on cookies and decorate to your fancy!